Islamic architecture encompasses a wide range of both secular and religious styles from the foundation of Islam to the present day. The principal Islamic architectural types are: the Mosque, the Tomb, the Palace and the Fort. From these four types, the vocabulary of Islamic architecture is derived and used for other buildings such as public baths,fountains and domestic architecture. Indo-Islamic architecture in South Asia, a fusion of Arab, Central Asian and Persian elements with the local Hindu architecture. 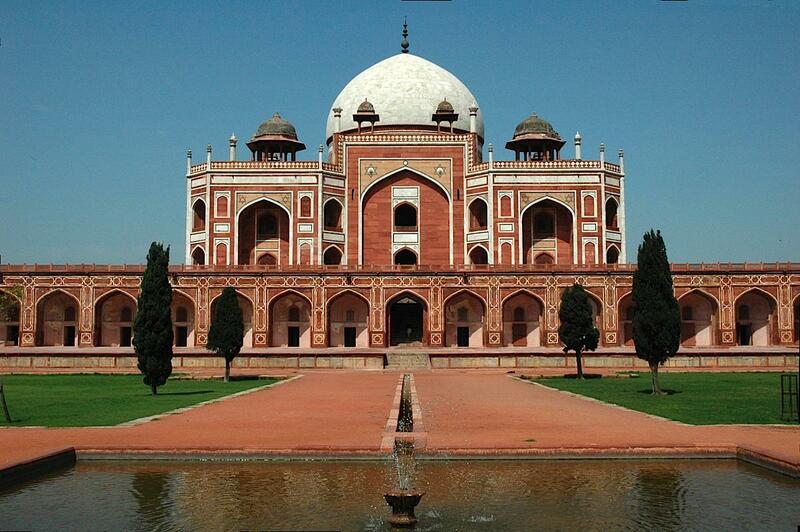 The most famous examples of Mughal architecture are the series of imperial mausolea, which started with the pivotal Tomb of Humayun, but is best known for the Taj Mahal, completed in 1648 by emperor Shah Jahan in memory of his wife Mumtaz Mahal who died while giving birth to their 14th child. The Taj Mahal is completely symmetrical except for Shah Jahan’s sarcophagus, which is placed off center in the crypt room below the main floor. This symmetry extended to the building of an entire mirror mosque in black marble to complement the Mecca-facing mosque place to the west of the main structure. The first Chinese mosque was established in the 7th century during the Tang Dynasty in Xi’an. The Great Mosque of Xi’an, whose current buildings date from the Ming Dynasty, does not replicate many of the features often associated with traditional mosques. Instead, it follows traditional Chinese architecture. Some Chinese mosques in parts of western China were more likely to incorporate minarets and domes while eastern Chinese mosques were more likely to look like pagodas.